There are many steps we can all take to reduce carbon emissions in our everyday lives. Some are easy. Some can be less so, but give it some thought and you may be able to achieve more than you at first expect. You can soon get into new better habits. Insulate your home to save energy and keep warm and choose appliances with high energy efficiency ratings. Grow your own food, buy local and cut-back on meat, which has a high carbon footprint. Reduce, reuse and recycle your waste. Choose low carbon forms of transport, such as cycling and walking, when possible. Travelling by bus, coach or train is usually more energy efficient than going by car (see Ethical Consumer guide to emissions), although car sharing is a good option. Consider electric-power for your next car – a growing alternative to fuel burning. Generate your own clean renewable power. 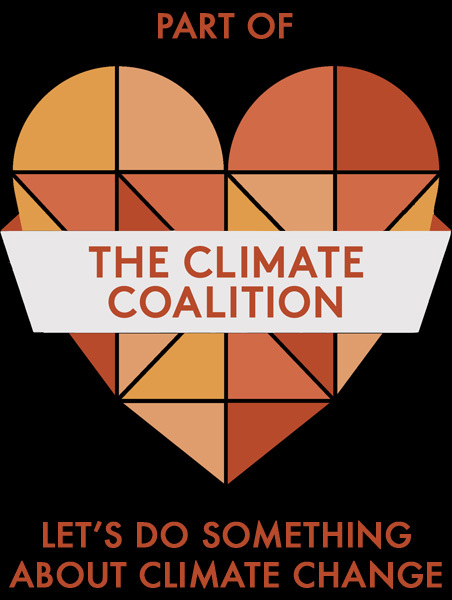 Sign our climate action pledge and find out what contribution the pledges can make. Green Choices – consumer guide to green living, holidays, gardening, DIY, eco shops, work and money, and going green. sust-it – energy efficiency reviews for appliances, technology, saving energy, motoring and travel. WRAP – Love Food Hate Waste (reducing food waste). Centre for Alternative Technology – Laura’s Ladder (healthy low carbon eating). Somerset Community Food – connecting people with local food. Permaculture – a design system inspired by nature. Next Green Car – advice on greener, more economical cars. Go ultra low – joint government and industry website on electric cars. BlaBlaCar – connecting people who need to travel with drivers who have empty seats. Somerset County Council – Moving Somerset: walking, cycling, driving, public transport, reducing travel, getting around. Environment Travel Association (ETA) – ethical insurance for your car, bike & travel. Pass on items you no longer need – consider local charity shops or give away online at Taunton Freegle, Taunton UK Upcycling or West Somerset Clutter Busters, or take to the Reuse Shop at Taunton’s Recycling Centre. You can also sell or give away on Facebook at Wiveliscombe Buy/Sell/Swap/Free and Wiveliscombe Somerset Buy and Sell. Free reusable furniture collections are offered by FurniTrust (Taunton Deane) and Engage (West Somerset) who supply to people on low incomes. Somerset Waste Partnership – local council services to reduce, reuse and recycle. WRAP – Recycle Now (what can be recycled). My Zero Waste – reduce your waste by reusing, recycling and composting. Go Real – real nappy information service.